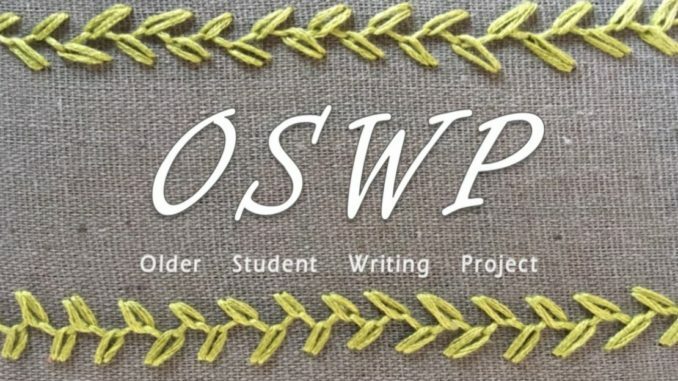 In August 2018, during Older Student Registration, students Carol Chester and Gail Johnston, with guidance from Joanne Jaber Gauvin from the Urban Action Institute, initiated the Older Student Writing Project (OSWP). 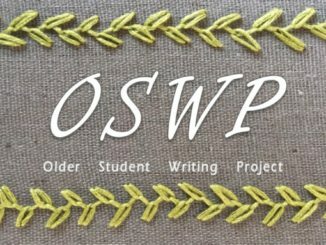 The goal of the project was to collect personal essays written by older students and to have them printed in a university publication. The purpose of the project was to highlight the work of older students, showing that they add to the diversity of the WSU community. As an older student attending Worcester State University, I was concerned that I would stand out and be a nuisance in class to the younger students. However, my experience has been quite the opposite. While I walk around campus, students often smile at me, say hello, and even open doors for me. In classes, there is usually an initial hesitation to talk with me, but after a few weeks, I become accepted as a learning peer. Professors have thanked me for contributing in class. I am often the initial contributor in class discussions and the one to ask questions. I wait patiently for the younger students to contribute first, but if there is no response, I willingly speak up. My life experience lends a different flavor to classes. For example, in a geology lab, our groups were to identify the source of different sand samples taken from around the world. While the younger students were analyzing the samples, I simply looked at them. I told my group that the pink sand was from Bermuda, the black sand was from the island of Hawaii, and the red sand was from Oahu. I knew this because I had been to all three beach locations. In my liberal studies class we discussed the Women’s Movement in the twentieth century. I related my experience from attending presentations twenty-one years apart by two of the movement’s leaders, Gloria Steinem and Betty Friedan, contrasting Ms. Steinem’s energetic “chastising” presentation to an audience of mostly male college students in 1970 and Ms. Friedan’s calmer, “there is work to be done, but look what we have accomplished” presentation to a mixed mature audience in 1991. Beyond my life experience, I have an advantage over the younger students because I am taking only one or two classes each semester, and, being retired, I can literally spend hours working on homework and class assignments. However, one disadvantage I have is difficulty using and understanding technology. I am currently taking a course in geographic information systems. We recently had a class assignment that was to take thirty minutes. However, it took me one hour and ten minutes, even with help from the professor. Everyone else had finished and left the class within the prescribed half-hour. Overall, my experiences at WSU have been extremely enjoyable. I am grateful that such a program for seniors exists and that I am able to take advantage of it. Even after obtaining a Bachelor of Science in Environmental Science, I plan to continue taking courses at WSU. Walter Talbot worked for 33 years in the technical sales and marketing fields. After retiring, he spent 12 years in education, most recently as an adjunct professor of marketing and mathematics at Becker College in Worcester and Dean College in Franklin, Mass. He earned a B.S. in Mechanical Engineering from Lehigh University in Bethlehem, Penn. and a M.B.A. from Fairleigh Dickinson University in Teaneck, New Jersey. Currently, he is attending physical geography and human geography classes at Worcester State University while pursuing a B.S. in Environmental Science.